My Story Card: Charlotte Raffle recalls seeing Billy Elliot. My story is when I went to Mayflower and saw Billy Elliott with my best friend. We were both really excited and the show was amazing. Another one of my memories was when I took part in 'Pirates of Penzance' on the Mayflower stage. 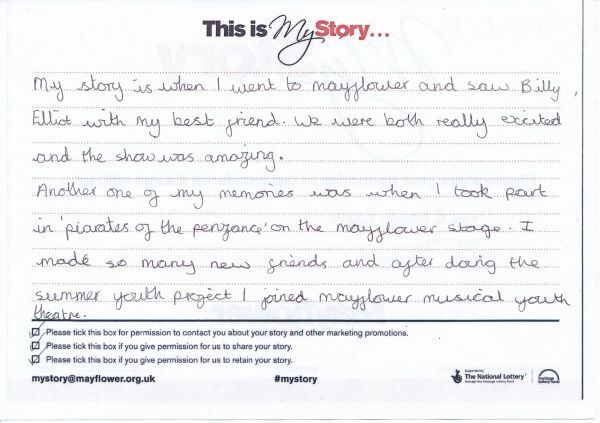 I made so many new friends and after doing the summer youth project I joined mayflower musical youth theatre.